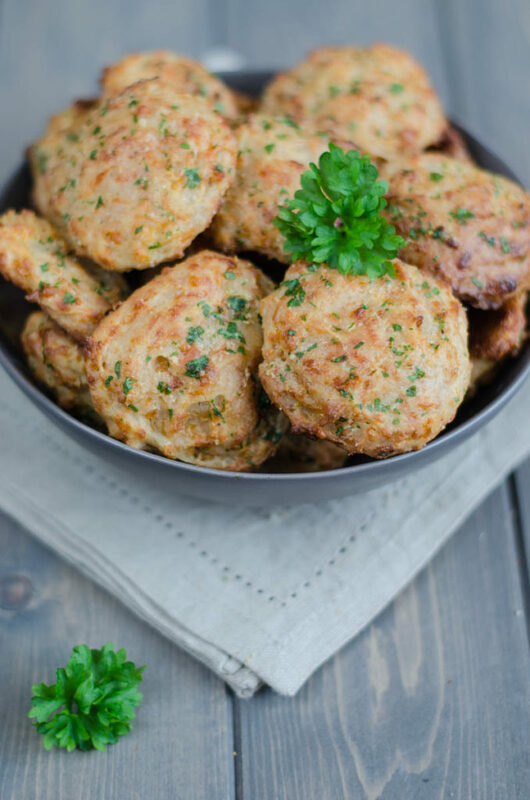 I have discovered these cheddar biscuits randomly on Pinterest when searching some salty appetizers for a house party. Given the number of pins for these biscuits, it seems these are very popular in the US and so I decided to give it a try. And they did not disappoint us! 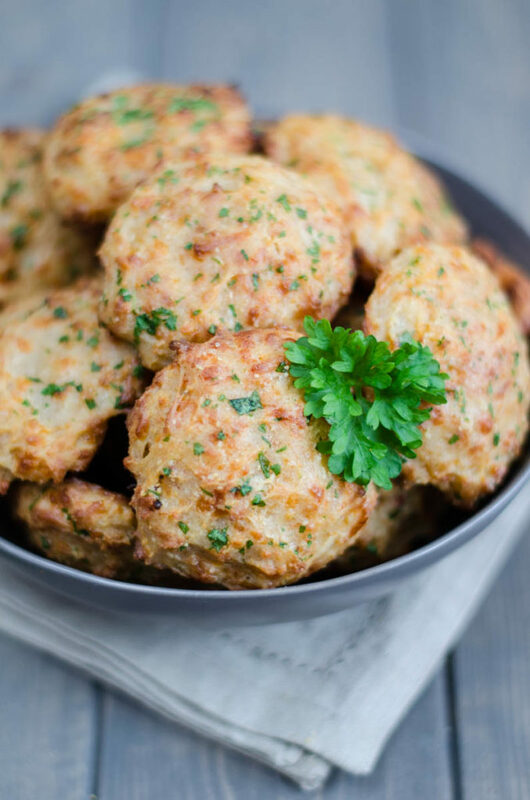 Since then, I make these Cheddar Bay Biscuits regularly – not only as an appetizer, but they are great to go with seafood, soups or salads too! 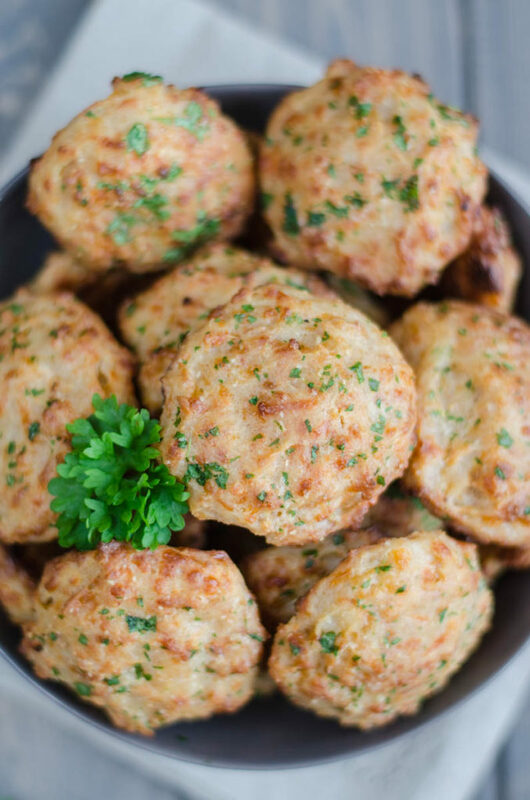 Soft Cheddar Bay Biscuits topped with a mixture of melted butter, garlic powder and parsley are great as an appetizer but also to go with seafood or soups. Preheat the oven to 225°C and line a baking sheet with a parchment paper. In a large bowl, combine together the flour with baking powder, salt, garlic powder and cayenne pepper. In a medium bowl, whisk together milk with melted butter and pour over dry ingredients. Stir well and gently fold in shredded cheddar cheese. Mix until combined. Using a scoop, place the batter onto the prepared baking sheet and bake in the preheated oven for about 10-12 minutes until golden brown. In the meantime, prepare the topping. In a small bowl, whisk together melted butter, chopped parsley, garlic powder and salt. Using a pastry brush, spred the topping over the tops of the warm biscuits and serve. 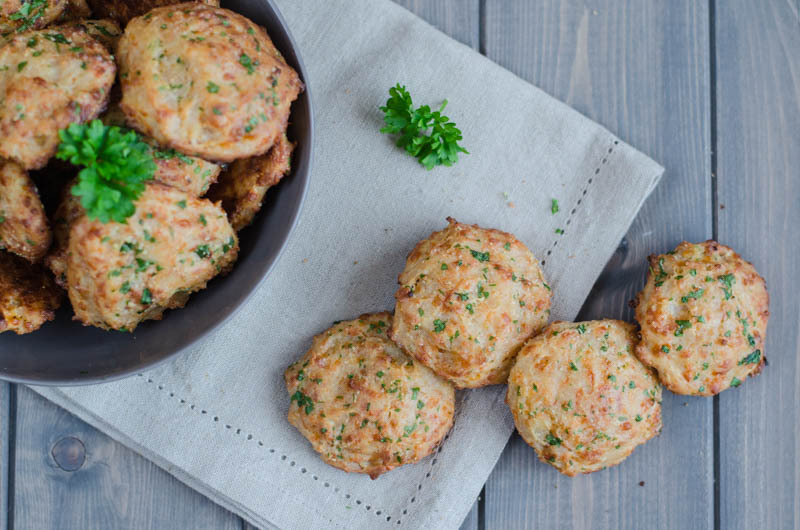 Have you tried these Cheddar Bay Biscuits?